Hello! The holidays are upon us, and I thought I’d share my favorite hat. It’s one I’ve been keeping warm with every day this past week since the temperature has dropped here in St. Louis. 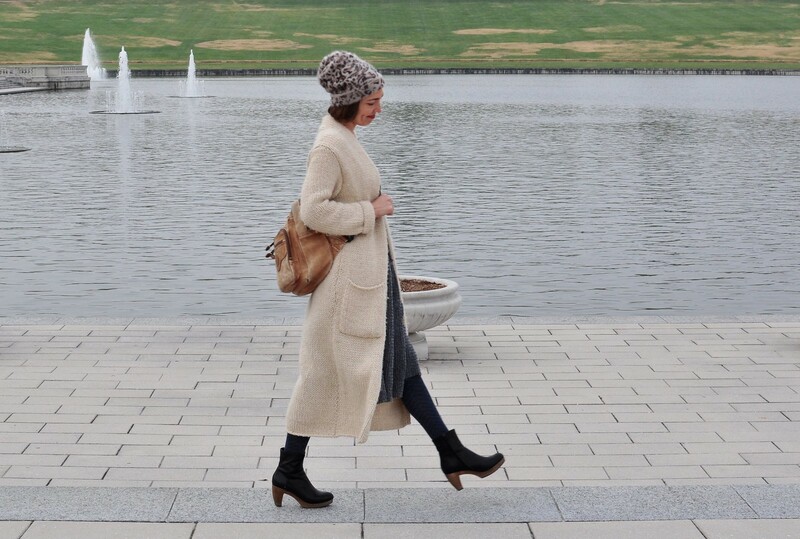 I love the cooler weather and the warm layers: the hats, thick sweaters, tights, and wool skirts. It’s all so cozy and forgiving! 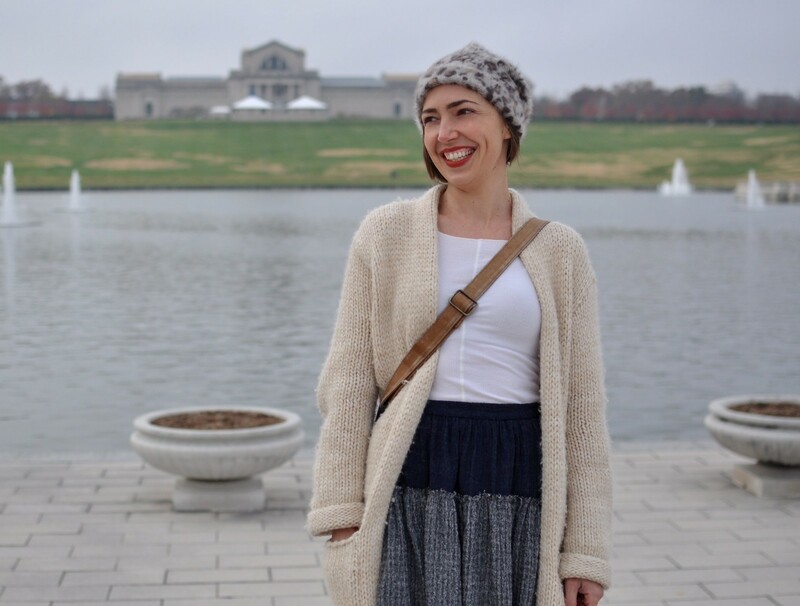 And for those who don’t live in St. Louis and are curious, we took these photos at Emerson Grand Basin which is at the base of Art Museum Hill (you can see the Art Museum in the background of the first picture). It is a great place to fly kites and go sledding, depending on the weather!